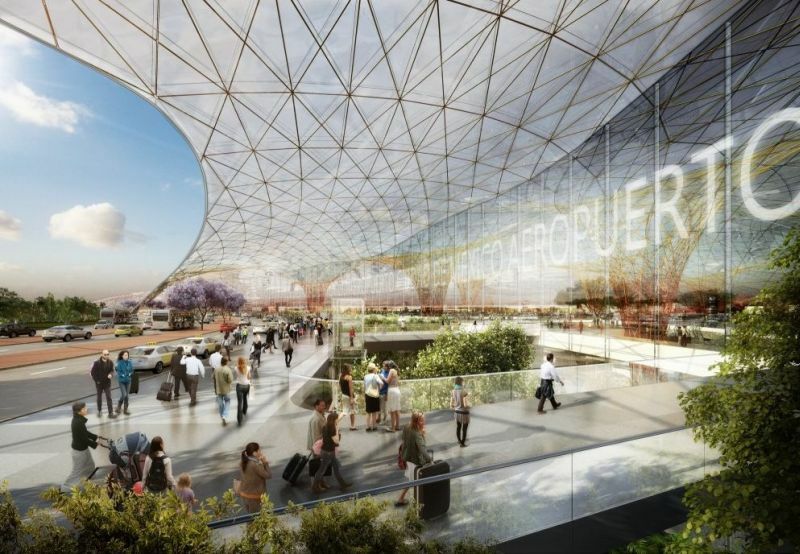 Foster + Partners' plan of the "world's most sustainable airport"
The momentous decision was made on 3rd of September, and the winners for the grand undertaking of Mexico City‘s new international airport was announced with a ceremonious vibe. The exalted names with their laurels in the competition pertained to a certain consortium headed by the collaborative effort of Foster + Partners and Fernando Romero (of FR-EE fame). The design details we see here are the results of their winning entry for what is touted to be the “world’s most sustainable airport”. The grandiose master plan for the gargantuan endeavor was already put into motion by Arup. The aforementioned consortium will make its additions and expansions based upon this definitive direction, and the goals are already pretty lofty to say the least. To that end, the airport will uniquely showcase its single terminal that will be draped in a special lightweight grid-shell. Coming at around a whopping 555,000 sq m (6,007,375 sq ft) of area and an impressive height of 170 m (560 ft), this will easily be the largest structure of its kind, in spite of the delicate soil conditions of the site. The magnificent dimensions will be equally bolstered by the sustainable ambit of the project. In that regard, the advanced grid-shell will only account for a singular spatial enclosure, as opposed to resource-intensive cluster of buildings. There is also a modular side to the whole affair, with the structure being pre-fabricated, thus taking much less time for the primary construction process. But most important of all – the lightweight skin will incorporate a host of green technological features, that includes solar panels, rainwater harvesting and passive architectural techniques like induction of natural light, shading and improved (but electricity-free) ventilation. In addition to being an architectural masterpiece, the new Mexico City airport will also allude to a herculean engineering feat. This hyperbolic scope will be demonstrated by the sheer scale of the underground service network. 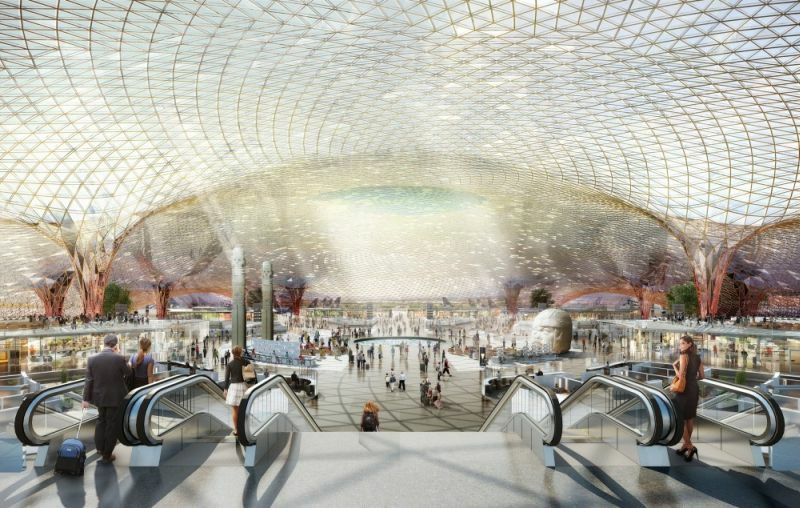 In essence, the entire structure will be serviced from the subterranean levels, with passengers arriving in special walkways – all of which would project into the singular terminal of more than 100 m span. According to the architects, the access routes would be designed in a strategic manner so as to keep the circulation pattern free and yet reduce the distances to be covered by the patrons while they are walking. 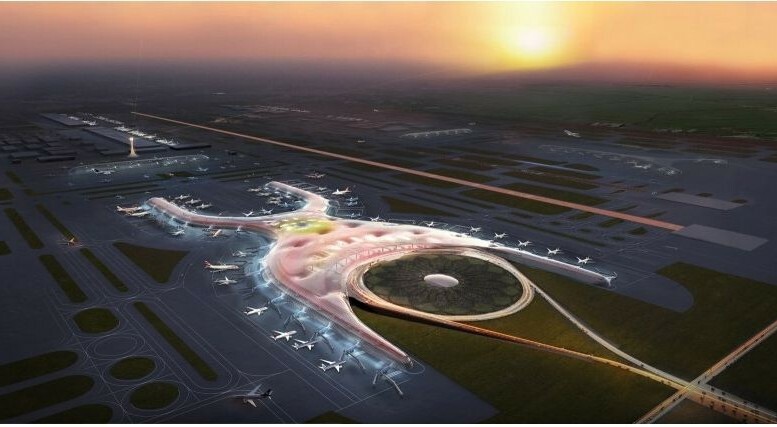 And, at last but not the least, the mega Mexico City airport will boast of LEED Platinum standards – by virtue of the lightweight envelope with advanced thermal and sound insulation properties. The low impact scope will be also accentuated with the incorporation of displacement ventilation that pertains to optimized internal temperature without the requirement of power-intensive mechanical systems. 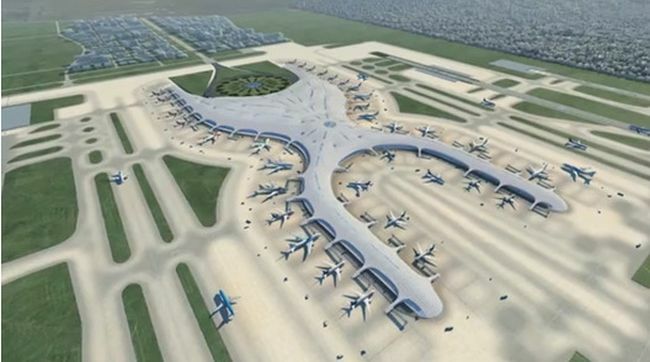 It pioneers a new concept for a large-span, single airport enclosure, which will achieve new levels of efficiency and flexibility – and it will be beautiful. The experience for passengers will be unique. Its design provides the most flexible enclosure possible to accommodate internal change and an increase in capacity.